Considerable quantities of EPS are also used in packaging applications. Its exceptional shock absorbing characteristics make it ideal for the storage and transport of fragile and expensive items such as electronic equipment, wines, chemicals and pharmaceutical products. The outstanding thermal insulation and moisture resistant properties of EPS enables freshness extension of perishable products such as produce and seafood. Moreover, its compression resistance means that EPS is ideal for stackable packaging goods. 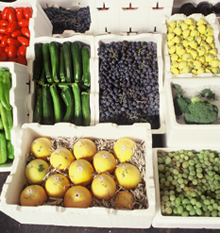 The majority of EPS packaging manufactured in Australia is used in the transport of fruit, vegetables and seafood. EPS packaging is used extensively for both the domestic and export market. Choosing the right packaging material requires a balance of many factors, including ease of handling and storage, weight, cushioning characteristics, manufacturing efficiency, ease of identification, customer requirements, cost and more.